Dr. Angelito Abaoag’s microbial technology company, Microbiome Pte. Ltd., Singapore, develops microbial-based solutions for agriculture, livestock, and waste management. The company works with farmers from countries all over Southeast Asia, especially in Dr. Abaoag’s home country of the Philippines, to prevent the spread of infectious disease in animals. 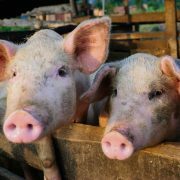 Pigs often suffer from gastrointestinal problems that cause diarrhea. Veterinarians attempt diagnosing the exact cause of the disease based on symptoms, but the varying symptoms make it hard to pinpoint the specific infectious agent without molecular diagnostic tools. Farmers can take samples for DNA analysis, but this requires sending the samples to central government labs far from rural areas and it takes at least a week to obtain results. By the time the illness-causing pathogen is identified, more animals are affected and mortality may quickly rise. Outbreaks of diarrheal, respiratory, and other infectious disease are common headlines in these countries and small-scale farmers often lack the tools to prevent and adequately manage these outbreaks which carry high public health, emotional, and economic consequences. Dr. Abaoag and team knew that analysis needed to be quicker so his company created a toolbox, about the size of a shoebox, with all the materials needed to sample, extract, purify, amplify, observe, and quantify DNA. The kit includes standard swab-buffers, 3M FTA extraction buffer, and a mini centrifuge among other products. It also includes alternative sampling and extraction methods, including the 3M FTA microcard for sampling and DNA extraction and purification kits from molecular biology research companies. When Dr. Abaoag was first developing the toolbox and researching various products, he found miniPCR™. He compared the small thermal cycler to conventional PCR machines and immediately field-tested it. He was very pleased with the results, but still needed to find an electrophoresis system small enough to fit in the toolbox for immediate PCR product detection. He found a gel electrophoresis system with a built-in blue light transilluminator and a portable spectrophotometer, both in small sizes to complete the toolbox DNA lab. The last two problems that Dr. Abaoag needed to overcome when developing the toolbox was the cool storage needed for the PCR primers and agarose gels. Abaoag developed primers that bind to DNA without the need for low temperature storage. He also developed methods to cast agarose gels in his company’s lab, surrounded in buffer, and vacuum-sealed. The gel was then wrapped in aluminum foil along with an ice pack. Abaoag also used the miniPCR EZ PCR Master Mix, which includes all the reagents needed for PCR plus gel loading buffer with two tracking dyes, all of which does not require cold storage and allows direct loading of the PCR samples on the gel. The first toolbox DNA lab was successfully tested at the end of 2015. It is now being continuously deployed in different situations as the company continues to use it to refine and optimize its products. 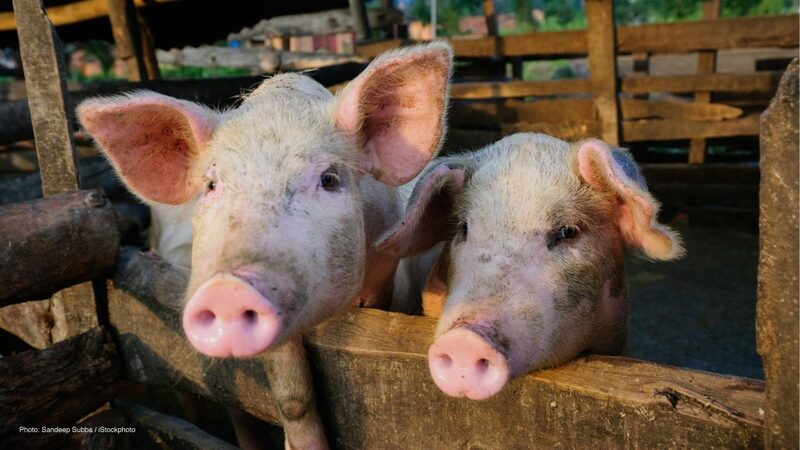 In one case, the toolbox was used to identify ETEC, an enterotoxigenic type of E. coli that causes diarrhea, in the water reservoir of a pig farm, saving 90% of the animals from infection. In a different case, the kit identified the Vibrio spp. family of bacteria that can cause diarrhea and other gastric symptoms, in the water reservoir of a fish farm before the pathogen could infect the fish. Dr. Abaoag states that “the center of the toolbox is the miniPCR”. He was astonished by its speed and efficiency. 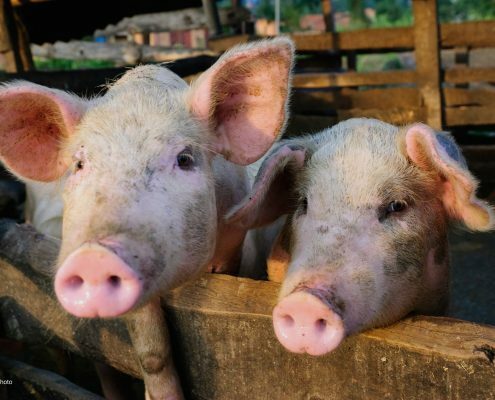 Abaoag’s team now aims to make the on-farm pen-side analysis process even faster by using multiple miniPCR machines in parallel to detect multiple pathogens at once, and save more animal lives. — Download PDF version of this miniPCR Case Study. Genes in Space gives opportunity to student scientists across borders From Snakes to Sequences in 24 Hours: Success!